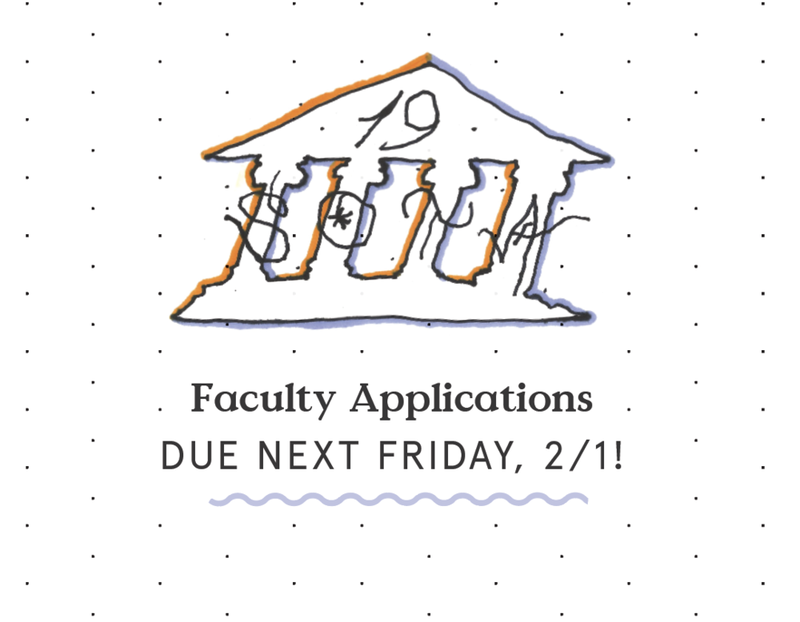 Faculty Applications for our May 2019 Session are due NEXT FRIDAY, FEBRUARY 1ST! At School of the Alternative, our curriculum each year is determined by the radical individuals who apply, and the skills, experience, and ideas that they hope to share. Join us! The only requirement for applying is that you be 18+, no other pre-requisites or experience needed. Our intention is to remove traditional hierarchy as much as we can at SotA, and this means that not only do faculty teach classes while they're here, they also participate in work service to maintain our community, stay in the same lodge alongside students + staff, and attend as many classes as they'd like that don't conflict with their own. We hope this non-traditional structure encourages you to apply to teach here! We love seeing class ideas that you wouldn't see elsewhere, especially in traditional institutions. Go WILD. We look forward to seeing your applications this week! We're here to answer any questions you may have - reach out and we are happy to help clarify anything + have the opportunity to talk with you about teaching at SotA! "It's a rare project because of how emphatically it encourages experimentation, and believes in the possibility of creative practice supported by community self-determination. As soon as you arrive you feel like anything is possible as long as there is the will to do it. Everyone can teach a class, propose change, do something new, and in a different way. Creative practice is taught as a continuous expansion of possibilities, in which we can always do more by creating alternatives to what is fixed or limited." Newer Post2019 Class List Released!